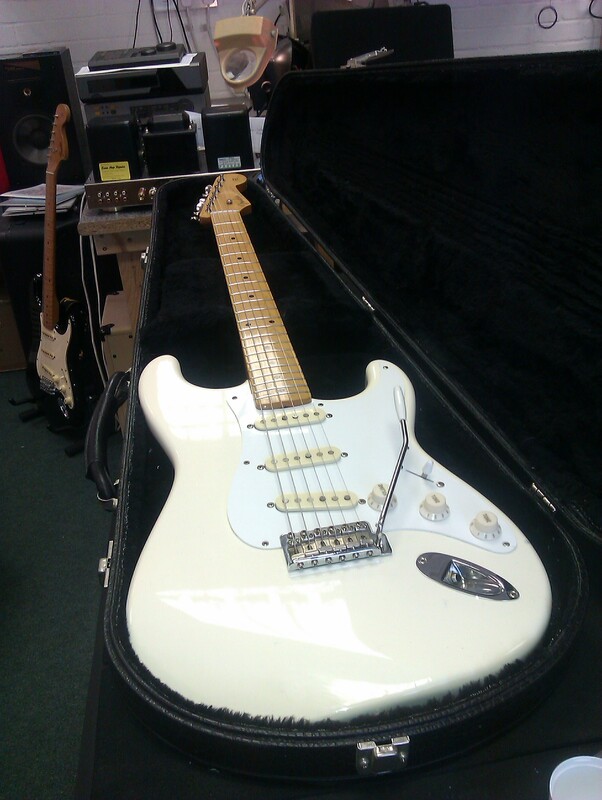 Fender Japan ’54 Strat in Olympic white. Fender Japan ’54 Strat in Olympic white. Just a fret dress, re-crown and setup was needed to restore this guitar to A1 playing condition.